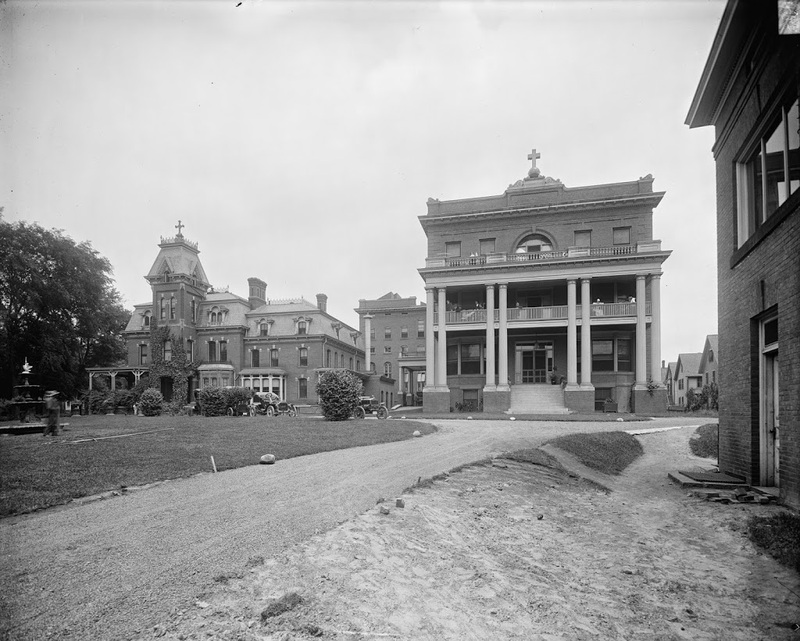 Mercy Hospital in Springfield, around 1900-1910. Image courtesy of the Library of Congress, Detroit Publishing Company Collection. Mercy Hospital has been at this location on Carew Street since 1898, and treated a number of soldiers returning home from the Spanish-American War. However, the building on the left-hand side is older than that; it was built as the residence of Haitsill Hastings Allis, a businessman who owned a brick company in Springfield. The building was sold to the Catholic Church in 1896, and the hospital began working out of the building two years later. The addition on the right was opened a year later, significantly expanding the number of patients that the hospital could treat. Today, all of the buildings in the first photo are gone. The addition was demolished in 1974, and the Allis Mansion itself survived until 2013. 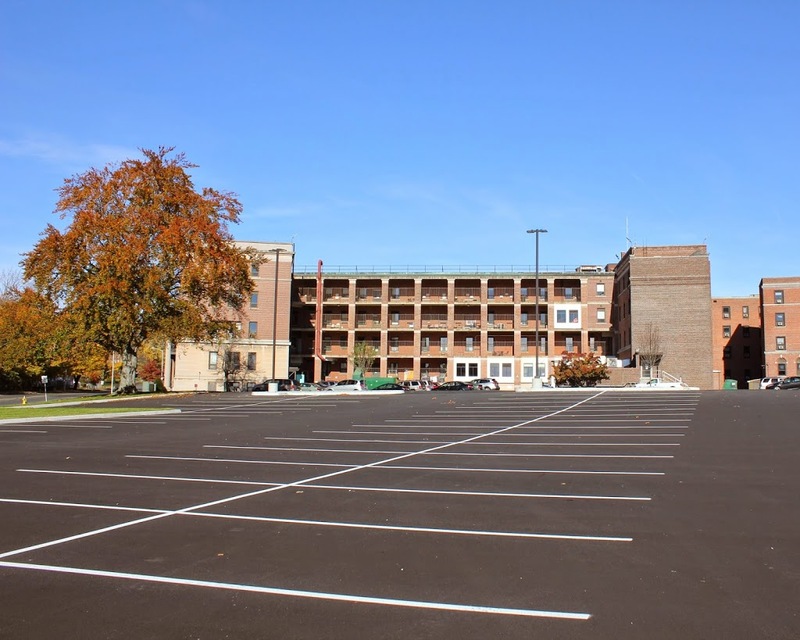 It had been vacant since 2001, and its restoration was unfeasible, so it was taken down to make way for the parking lot in the foreground of the 2014 photo.